Once upon a time, we were all whispering about a possible conspiracy that someone had invented a car that ran on something that wasn’t fossil fuel but the Big Oil companies resorted to various forms of skulduggery ranging from buying out the patents or technology through to murder to ensure that petrol and diesel continued to reign supreme in the motoring world. Fast forward to nearly 2020 (i.e. 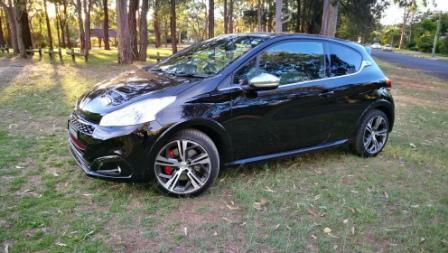 today) and there’s a new rumour on the block: the rumour that petrol and diesel powered cars are going to be phased out. This move to ban petrol-based cars is not unique to places as notoriously academic and ivory-towerish as Oxford. In fact, the Government of Scotland has announced that it will phase out petrol and diesel vehicles by 2023. Ms Nicola Sturgeon, the First Minister of Scotland, has acknowledged in her statement (which covers other topics – the bit in question is about one-third of a way down if you want to find it) that it’s an ambitious project and is going to need a lot of infrastructure established. This move by Scotland to be the first to phase out new petrol and diesel cars is ambitious, but it looks as though it’s part of a race between the old rivals England and Scotland to be the greenest. Apparently, the UK government has announced that it wants all new vans and cars on the roads to be zero emission vehicles (which is not a bad term for lumping electric, hydrogen and ethanol vehicles together – although it probably doesn’t include biodiesel vehicles). 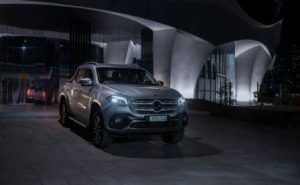 Because the UK has rules about the age of cars that they allow on the roads, this means that all their vehicles are slated to be zero-emissions vehicles by 2050. What this means for the owners of vintage and classic vehicles, I don’t know. I guess they’ll have some sort of exemption or they’ll only be allowed out on special occasions. Or maybe they’ll have to be retrofitted to take biodiesel or ethanol. I suspect that even the royal Rolls-Royces and Daimlers aren’t going to be exempt. 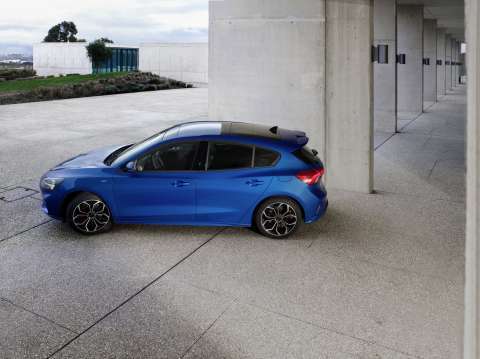 Naturally, if there’s rivalry between England and Scotland to do something first, you can bet like anything that the other ancient rivalry will flame up and indeed it has: France has also announced that it won’t be selling any new petrol or diesel cars after 2040. Happily, the French government has also said that it will provide some sort of subsidy for poorer households so they can get an upgrade. And yes, this puts the pressure on all those French marques like Citroën , Renault and Peugeot to up their game and make sure that they’re only making hydrogen and electric vehicles by this stage. Naturally, Scandinavia is already in on the game (and, incidentally, they’re old rivals of Scotland’s as well – which is why the north of Scotland likes to keeps up a few Viking traditions). 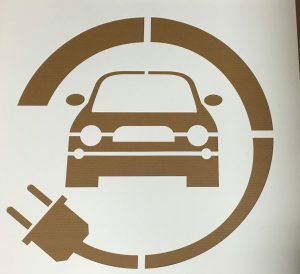 Norway is already smugly announcing that half of its new vehicle registrations are electric or at least hybrid, and it says the Norwegian target is to end sales of fossil-fuel-only cars by 2025. Norway has been handing out tax breaks and concession for electrics and hybrids for ages, and it’s got the geography and rainfall needed to sustain the hydroelectric plants that are necessary to charge all those batteries. The Netherlands and Germany are also in on the act. 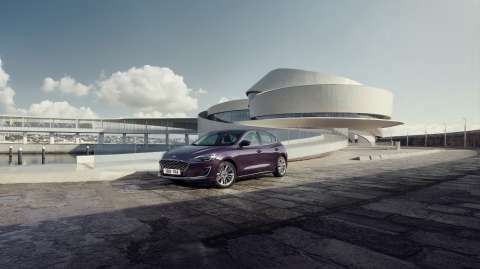 This means, of course, that all the German and Swedish car marques we love are going to concentrate on electrics and hybrids. My beloved Volvo announced that every new Volvo car and SUV from 2019 onwards will be electric in some way: full-time electric, plug-in hybrid or at least a little bit hybrid. In fact, it seems as though Australia is a little bit behind here, as we’ve been slower to embrace electrics, although they are becoming more and more common. I’ve seen a few new charging points popping up near where I live, so people are starting to get on board. The Green Party has asked the Australian government to jump on board, but the Powers That Be are hesitant. And I think they’re right to be hesitant. I’ve still got a ton of questions about the whole thing, though, as I guess many of us do. What happens to old classics and collectors’ items? 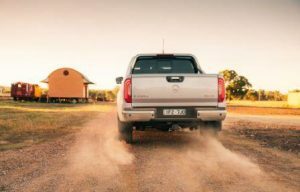 Do electric vehicles and hybrids have the range to tackle our long Outback roads without stranding people in the middle of nowhere? What if we can’t afford a new car? How are we going to charge all those vehicles – are we going to just burn petrol and diesel in electric power plants instead of car engines (which seems pretty pointless)? Where do ethanol (which we’re already using in Australia) and biodiesel fit into this picture? Do we have enough charging points and can our electricity system handle all the new demand? What will happen to all those old vehicles internal combustion engines? Do they go to the landfill? Is there a way to recycle the metal and plastics used to make them? And what if we LIKE the cars we’ve got and what they can do??? Does the average Aussie driver get a say in all this? 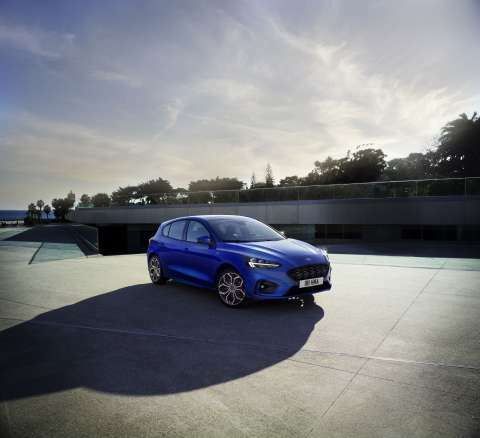 However, we can certainly expect to be including a lot more electric vehicles in our car reviews, and it’s certainly an exciting time of change for the motoring industry, so we’ll do our best to keep you updated. It would be so much easier if we all drove perfectly all the time, but not even a robot (aka an autonomous car) can do that. The best that most of us can do is to try to avoid mistakes and try to be considerate of other people. However, there are some people out there on our roads who have the most tooth-grindingly annoying bad habits behind the wheel, and I don’t mean that they pick their noses at red lights. Not only are these habits annoying to other drivers (and pedestrians and cyclists and motorcyclists and…), they’re also a bit dangerous. Here’s a list of some of the habits that really get up people’s noses. Which of these get your blood boiling – and which ones are you guilty of and need to stop? Not indicating. This one’s my pet hate. Quite frankly, I’d prefer to be behind a driver who indicates when going around a sharp bend than anywhere near one who doesn’t indicate. 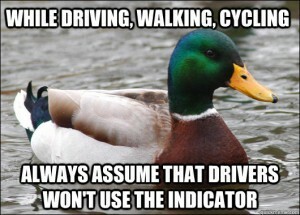 Not indicating is particularly annoying and dangerous at intersections, especially roundabouts. There’s always that one person who comes up to the roundabout where you have to give way, doesn’t indicate but turns left. By the time they’ve made their move, you’ve stopped to give way and lost your chance to enter the intersection. Even worse is the person who comes up to the roundabout, indicates left and then goes straight ahead – now, that’s an accident waiting to happen. Schizophrenic speed. This one gets my husband’s blood boiling every time. Schizophrenic speed happens when a driver goes very slowly around bends and the like. Nothing wrong with that and it’s probably a safe thing to do. However, these people let a long line of cars build up behind them and never pull over when they have a chance. In fact, when they get to a straight bit or even a bit of road with a passing lane, they speed up full bore and even pass the speed limit, meaning that you’re going to have to take all kinds of risks to overtake them… and they don’t want to be overtaken. If you’re a slow and steady type who doesn’t like to corner fast, fine, but stay comparatively slow when the straights come so others can overtake you safely. Phone addicts. Come on, we all know that it’s illegal to use a handheld phone when you’re driving, but how many people do you see driving around with a phone clamped to their ear with one hand. 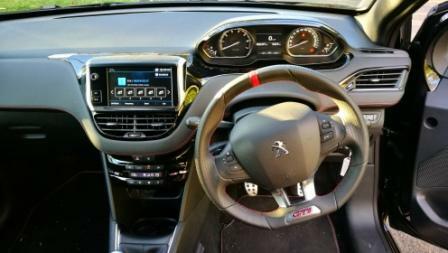 Get a handsfree kit, for goodness’ sake! Even worse are the ones who have just a little look at that wee text that just came in because it might be important. We’ve all had those close calls with phone addict drivers. JUST LEAVE THE PHONE ALONE! Tailgating. Emergency stops happen. You never know when a cat or a kid will run out on the road ahead. Driving too close to the car ahead is crazy, as you might miss their brake lights going on and not jam your own brakes on in time. Even worse, if it’s rainy or if the road is slippery, then even if you hit the brakes in time, you’ll still ding the person ahead. Honestly, dropping back to a decent following distance won’t make you late for work! Red light running and failing to give way. There are no excuses for running a red light or ploughing through a Stop sign unless you’ve got flashing lights and a siren on your vehicle – and even then you have to be careful at intersections just in case. Parking where you shouldn’t. We’ve all seen perfectly healthy people walking out of cars parked in the disabled parks, and we’ve probably also all seen cars parked over driveways, on yellow lines, in bus stops… If this is you, what makes you think that the rules can be bent for you? It’s illegal, folks, even if you’re just nipping in for a loaf of bread or to post a few letters. 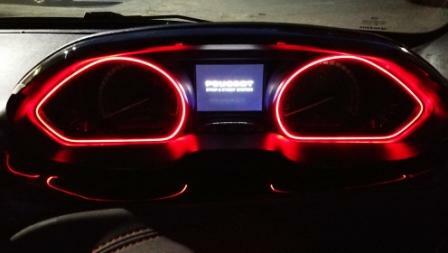 Look at my lights! This one mostly gets seen on rural roads at night, but can also be found around town at times. This sort of driver wants to see the road ahead when its dark and only dips the lights at the last moment… by which time, the oncoming drivers are blinking and blinded. The other variations on this theme are the driver who takes the headlights off dip a fraction of a second too soon, and the driver who doesn’t dip the lights for pedestrians and cyclists… who still get dazzled like other people. Ignoring things with fewer wheels. Motorbikes, bikes and horses are all legitimate and legal road users, and have as much right to be on the road as you do, even if they are smaller, have fewer wheels and a smaller engine. This means that you have to give them the same courtesy and consideration that you’d give another car. This means not cutting them off, not opening doors suddenly and not getting mad when they have to get in front of you because they want to turn right at the next intersection. Pedestrians also have the right to cross the road, although they do have to give way to you… except at a pedestrian crossing, where you have to give way. You have to give way to them for the whole time that they’re crossing the road, with no waiting until they’ve got to nearly halfway, then going. Wait until the pedestrian has got to the other side or to a traffic island before you go on. And you did check that pedestrian crossing ahead to see that nobody was waiting, didn’t you? Open top trailers. I don’t know how many chips in the windscreen we’ve picked up thanks to things flying off the trailer ahead of us and whacking the windscreen. The trailer in question may be hooked to a truck or to a smaller vehicle, but the end result is still annoying. Even if it’s not a stone flying off and chipping windscreens, other debris getting off a trailer is hazardous and annoying (lawn clippings, leaves, dust…). If you’re a gardening contractor or if you’re taking a load of garden rubbish to the tip, then cover that load or at least put it in a bag so it doesn’t blow everywhere. Merging morons. When two lanes merge into one, the idea is that Car A, which is in the right-hand lane and is slightly ahead goes into the merged lane first, then Car B, which is in the left-hand lane. Then Car C, which was immediately behind Car A in the right-hand lane gets to go in. If Car C is a merging moron, then he/she will push ahead and force Car B over to one side out of the stream of traffic until someone sensible(Car D in the right lane) comes along. Car B can also sometimes be a moron, racing ahead to try to get to the merged lane ahead of Car A. In all these scenarios, be Car D – the one that’s courteous and keeps an eye out for other drivers rather than having a Me First attitude. Litterbugs. Technically, you shouldn’t dispose of any rubbish out of the window of a car. However, I’m willing to wink at organic rubbish that will feed wildlife and break down naturally or grow a new tree, such as apple cores, banana peels and apricot stones. Hey, in 10 years’ time, a forager for wild fruit might thank you! However, there’s an art to chucking biodegradable fruit bits out of the window, the most important part of which is to wait until (a) there’s nobody behind you and (b) your apple core will land in long grass. There is no excuse for throwing out drink cans, papers, plastic bits, or fast food packaging. Cigarette stubs – which are less common these days, thank goodness – are even worse, as they can set fire to dry grass in summer or burn that cyclist you didn’t see (I’ve been the cyclist in this situation). 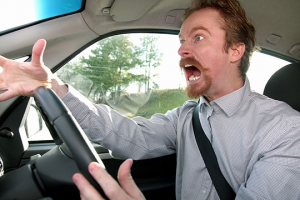 Any terrible driving habits that enrage you that I’ve missed? And which ones are your pet peeves? Have a good rant in the comments about them! A certain British car show once had a story about a car powered by an engine sourced from a WW2 fighter plane. It was a spectacle to behold with flames, sparks, and smoke being emitted as it was piloted around the show’s test track. 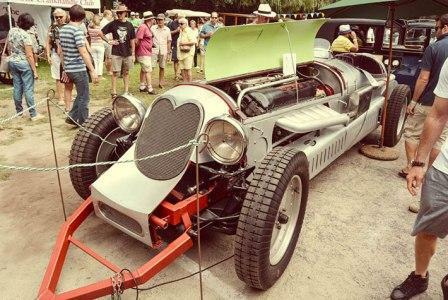 British based John Crowhurst is one member of a very select group that has similar thoughts to the builder of that car. 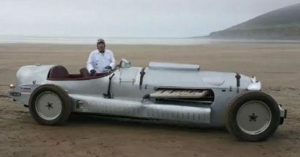 John, formerly based in South Africa, has found an engine that comes from the same basic aeronautic background, however it’s a British engine, not German. The Meteor engine was built for and used in tanks and was used until 1964. One of these has been repurposed to be the powerplant for a handbuilt car that John, sadly, can’t legally drive on UK roads. Naturally something this big needs a good (great?) cooling system and John has fitted a set of tanks that have a total of 70 litres worth of fluid capacity. This is where the Australian based Davies, Craig have joined the party. Two of the biggest electronic water pumps that Davies, Craig have, the EWP150, were sent to John and have been fitted, one at the rear and one at the front end for the radiator. John’s naturally quite happy with this laments that, in his extensive sponsor list, he doesn’t have a fuel supplier. Why? 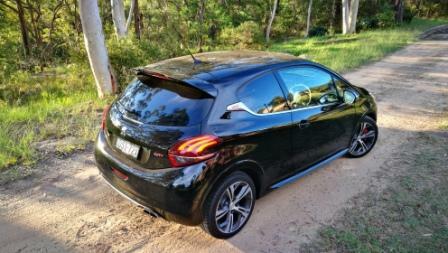 At around 100 km/h or 60 mph it uses a litre of fuel every mile. At least it won’t overheat thanks to the two Davies, Craig EWP150s! Followers of Monty Python will get this once some more has been explained. 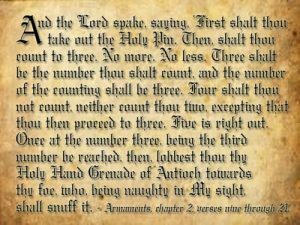 Perhaps this will help: “The number thou shall count to shall be three. No more, no less.” Still from the same film and reference point but what exactly has this to do with cars? 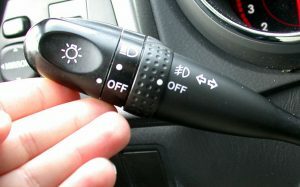 Some cars allow the indicator stalk to be gently touched and it will automatically flicker three times. No more. No Less. Unfortunately, for the three point seven percent of Aussie drivers that know how to indicate, this is how many times around thirty percent of that three point seven will flash. The rest are heavily weighted towards none at all and the tiny remainder will indicate to the legal standard, being (in the case of changing lanes) before moving from their current lane to having ALL of their vehicle in the new lane. Those that indicate, begrudgingly it seems, will do so three times. Most of the times this finishes with barely half of their car in the new lane but more often than not they either haven’t begun to move or they are about half way across. 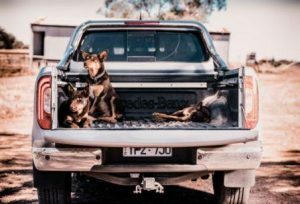 On a recent 1200 kilometre round trip from Sydney to the south coast of NSW and back, the number of drivers of cars, trucks, and buses (alarmingly the latter two should be professional drivers) that indicated to the state standard would be about fifteen percent of the total vehicle traffic seen. You’ll note how many definitions of changing direction there are, including merge lanes, T-section roundabouts, and the like. Head to points 47 and 49. These are the two pieces that the state governments and territories seem to refuse to acknowledge are a root cause of our road toll. Cars are designed and engineered with some basic basics in place, such as where the indicator and washer/wiper stalk are located. 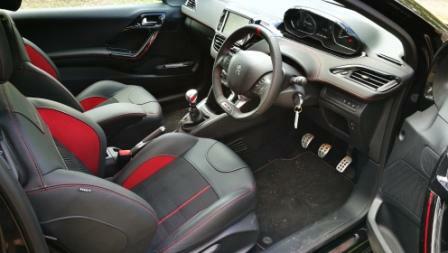 Go sit in your car, place your hands at the nine o’clock and three o’clock positions. Stretch your fingers. Those fingertips will reach two stalks in the vast majority of vehicles. One of those, when moved up and down, will engage the indicator system. 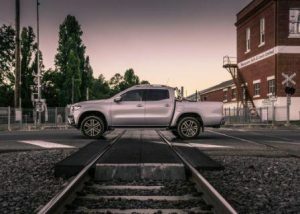 Now here’s where it gets tricky….the idea of that lever is pretty simple in concept yet seems to befuddle and confuse the horrifyingly large amount of Aussie drivers. Most will only use it like the countdown to pulling the pin on the Holy Hand Grenade of Antioch, in that the lights on one side of their car/truck/bus will flash just three times. No more. No less. However, when used as per the legislation a miracle occurs, a miracle that may, if our governments and territories can tear their myopic gaze away from the one point one billion dollars of revenue generated by that wonderful driver propelled ATM, speeding fines, go some way to increasing driver engagement with the knock-on effect of drivers being more aware and therefore less likely to crash and die. 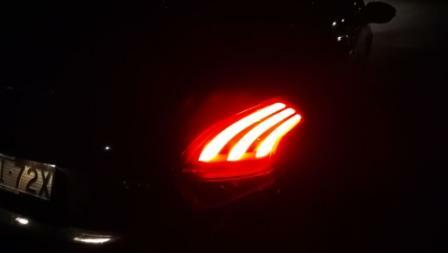 Indicators flash more than three times. Car makers need to change that to five, at least. This has the drivers around being made more aware of what the driver indicating has in mind and therefore a higher level of probability they’ll stay away from that vehicle. And by being more engaged in driving that driver may notice the car sneaking up on their left or right, the truck driver slowing down in front, the mini-bus about to exit a petrol station, and have more time to do the right thing. But while our pollies feel that speeding is the sole cause of fatalities and ignore asking our boys and girls in blue to enforce the basics of driving, our fatalities and injuries list will continue to disimprove. The hand grenade is in your hands. It might not quite be winter yet, but we have passed the autumn Equinox, which means that the time when the sun is up is shorter than the time when it’s down. 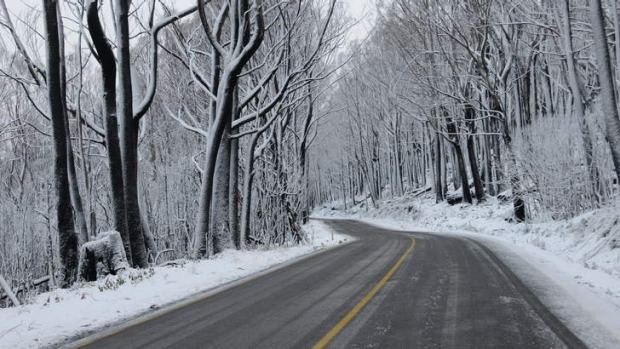 This means that it’s time to think ahead and get your car ready for winter. Because there’s no point in getting ready for something if it’s already come and too late, right? One thing we can be thankful for is that we don’t have to go through quite so extensive preparations for winter as they do in, say, Sweden or Canada… especially if you live in the northern bits of Australia when winter comes as welcome relief from the intense summer heat. However, the southern states and territories can get problems with frost and snow from time to time, and everybody gets things wetter and rainier (except in the very far north in places like Darwin, who have their rainy monsoon period during the summer). As things are going to get wetter, the most important thing you need to do to get your car winter-ready is to check your tyres. First of all, they need to have plenty of tread on them, as it’s the tread that channels out the water so you still get plenty of grip. When it comes to tyre styles, there’s a bit of a trade-off, as having lots and lots of channels means that you can pump lots of water out – and a tyre needs to shift about 6 litres per second in average rainfall at open road speeds – but the problem is that lots of little raised bits wear out more quickly when it’s dry… and nobody wants the hassle of changing tyres every time the weather goes from wet to dry and back again. The best tyres for driving in the wet are the ones with the directional treads (lots of stacked V shapes) and asymmetrical tyres, although you can’t rotate asymmetrical tyres like you can with the directional ones. Directional ones look nicer, too! 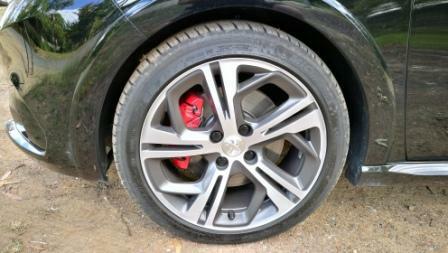 Tyre pressure is also important to check when the weather goes from hot to cold. This is because air temperature affects tyre pressure, so when the mercury goes down, a tyre that was just right may now be underinflated. If you remember your high school physics, the hotter a gas gets, the more it expands and the greater the pressure. When the gas cools, then the gas contracts and the pressure decreases. It’s important to check your tyre pressure at all times, but if the temperature’s changed (or if we’ve had a cold snap), then it pays to check. The next thing that’s important to deal with is to check the windscreen wipers. Winter means more rain for everybody except the far north folk, and this means that your wipers are going to see a lot of action. They won’t shift the water and keep your visibility decent if they are in bad condition. New wiper blades don’t cost the earth and changing them is a job that you can easily do yourself, so there’s no excuses. While you’re looking at the windscreen and the wipers, this might be a good time to ensure that your windscreen is nice and clean. 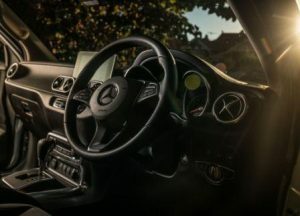 The angle of the sun will be that little bit lower in the evenings and the mornings, especially the further south you go, so sunstrike and glare can be a problem, especially if your windscreen is filthy. 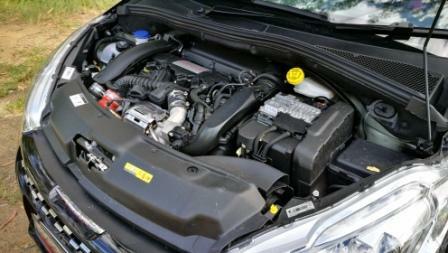 Give it a good clean and top up the fluid for your window wiper fluid. The next thing is your lights. It’s going to be darker, especially if your state does the Daylight Savings thing (and consider yourself lucky if it doesn’t because it’s a pain). Make sure that all of your lights are working well, including the fog lights. 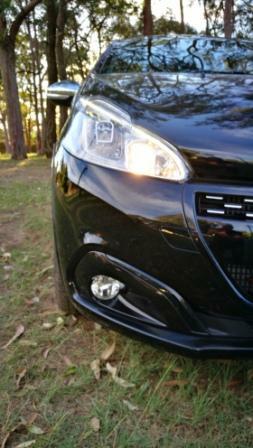 Check that the angles of your headlights on dip and on full beam are angled correctly. The last thing to get the car mechanically ready for winter is to check the battery. Your battery is going to get more of a workout, what with the extra demands of heating and lighting. Top it up with distilled water if needed (tap water is often chlorinated or have other minerals that don’t play nicely with battery acid, so don’t use this). Check the terminals for corrosion and clean off any greenish bits around the terminals caused by the acid. The best way to do this is with baking soda (which neutralises the acid and will fizz), an old toothbrush and rubber gloves to protect your hands, followed by a good rinse with warm water. If your battery is getting on the ancient side, then change it. Few things are as miserable as waiting in a freezing cold car on a nasty day for the breakdown guys to come and jump-start your battery. These steps will help keep your car winter-ready, but don’t forget you and your passengers when preparing your car for winter. 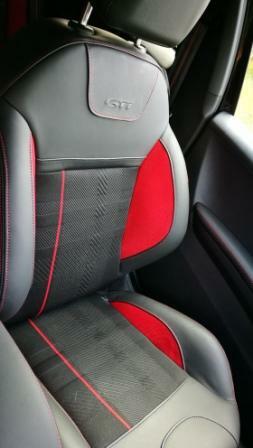 Having the right items stashed away can make a real difference, especially if you have to wait in a parked car for ages for any reason on a nasty cold day, or if some idiot who DIDN’T check their tyre condition skids into your rear end, meaning you have to wait for the breakdown team. 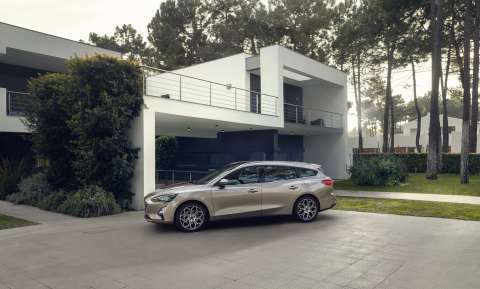 Most modern cars have plenty of useful storage space for all sorts of odds and ends – one particularly useful one is found on the Skoda Superb , which has a special compartment for an umbrella that allows it to drain when wet. 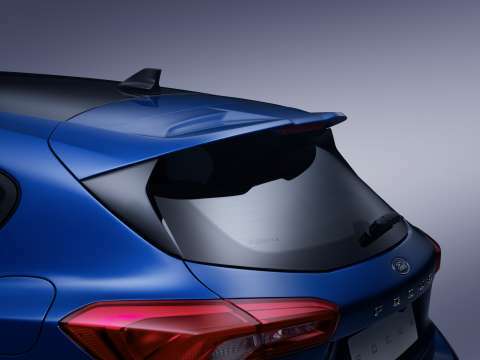 If you own one of these sedans, make the most of this feature! Here’s the list of things that I’d have in my car to make sure that I can cope, even when the weather swings wildly or gets nasty and cold (on top of other staples like hand sanitiser, snacks and a first aid kit). A chamois leather or microfibre cloth for wiping down the inside of the windscreen. Sometimes, the demister just doesn’t work fast enough or there’s grime on the inside of the windscreen that is causing visibility problems with the lower angle of the sun. Rather than using your sleeve and getting wet (which I have done in emergencies), use a nice soft cloth kept for the purpose. Something to keep the rain off. This could be an umbrella or a raincoat – you can get some nice little compact ones that tuck away in a little bag. This stops you getting all soggy if a downpour decides to descend just as you’re pulling up at the petrol pump and there’s no shelter between your car, the pump and/or where you have to pay (been there, done that). It can take the heaters a while to get going on a cold morning, as they use excess engine heat to heat the cabin. Cold fingers are stiffer and less responsive, so keep your little pinkies warm until the heater sorts its life out. The obvious place to keep them is… the glovebox. A polar fleece or jumper. It was a nice day when you started out but a southerly buster has roared in. Or you have to turn the heaters off thanks to that flat battery (or to avoid flattening it). Keeping half your wardrobe in your car like my husband did when I first met him probably isn’t ideal, but having something to pull on often comes in handy. A blanket or throw. If you have to take kids or passengers who have to wear thinner clothes (formal gowns, dance gear) or who are a bit damp (after sports practice) and cranking up the heater would make things far too hot for you even with a dual-zone climate control, then having a blanket handy for bare knees or off-the-shoulder tops is a nice touch. A blanket is also more easily washed than your car upholstery in the case of muddy people. Plus you can use it for impromptu picnics. Safe and happy driving, no matter what the weather is! Is It Worth Holden On? A recent post to Private Fleet’s facebook page has given rise to plenty of passionate, robust, thought provoking discussion. The subject? Holden and the new Commodore. And that is a fair point. Harking back to our interview with then head of PR at Holden, Sean Poppitt, he’d said that workers were being as much assistance as possible to find different roles or be given a payout once manufacturing ceased. But it did mean that the manufacturing side of the skill-set workers had has either been lost or relocated to an area that’s not using that skill-set. But back to the car itself. It seems that many feel that their loyalty has been questioned by Holden’s decision to shut shop and continue with the nameplate. 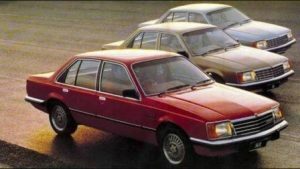 Again harking back to Poppitt, he said that the reason the name was kept WAS because of feedback from Commodore owners. 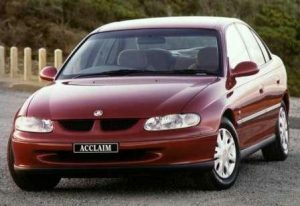 Loyalty can also give rise to misguided faith, as seen here: “Serves them right, close Australian factories and still have the hide to call imported cars a Holden and think we won’t notice.” This could very easily be seen as overlooking all BUT the VF Commodore from Holden were and had been imported cars for a couple of decades at least, as opposed to the 1970s with Toranas, HQ through to HZ Kingswoods and the Commodore VB and VC being built here. Let’s look at this in a bit more detail. The VB through to VK were effectively the same, before a re-skin for the VL. Then there was the complete overhaul for the VN, a bare facelift for the VP, before the VR and VS. Along came the VT and VX, then the facelifted VY and VZ. Where could we say the VT resembled the VB or the VY resembled the VL? Regardless of the opposing points of view it’s clear that a substantial amount of disquiet is out there in regards to the ZG Commodore. As the four words used sagely go: only time will tell. Anniversary For Holden Maven Gig. Imagine being able to trial a job for a month to decide if you liked the conditions, pay and hours, with so many new ways of working through the sharing economy, why shouldn’t this be possible? 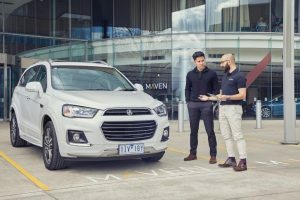 Holden agreed, so they launched Maven Gig, a car-sharing service that puts power into the hands of the driver. Since launching a year ago, Maven Gig has achieved significant growth as more Australians turn to freelancing and the sharing economy to generate income and look for flexible ways to get on the road faster. 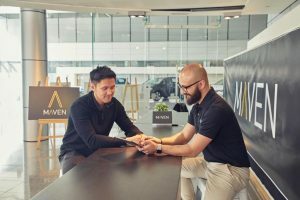 As the personal mobility solution for members of the freelance economy celebrates its first anniversary, Maven Gig has reached a major milestone with its 1000th car hitting the road. “We’ve seen massive changes to how our customers work and live, and we are embracing the challenge to offer the type of tailored experiences that people want and expect in every facet of their life. 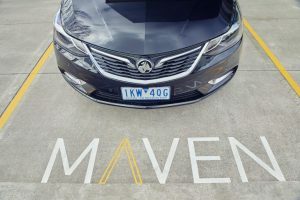 Maven Gig is just one way that we are creating new solutions that go beyond just a car, it gives people the power to choose how they want to drive and work,” said Matt Rattray-Wood, General Manager of Maven Australia. 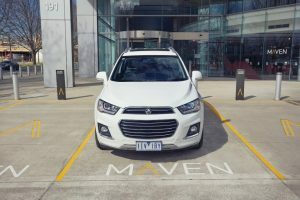 Maven Gig gives members access to a wide range of brand new or near new Holden vehicles such as the Trax, Astra hatch and sedan, and the seven seat Captiva. Drivers get unlimited kilometers, 24/7 roadside assistance, comprehensive car insurance and scheduled servicing all included in the rental cost. They can easily swap the vehicles depending on their work or needs. 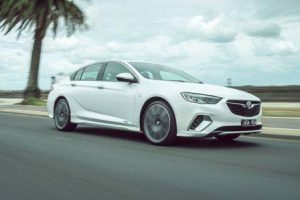 Matt said the automotive industry was evolving at lightning speed and Holden and Maven intended to be at the forefront of this expanding market. 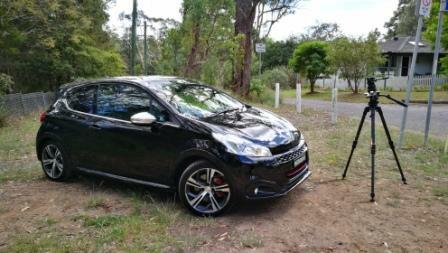 With thanks to Holden Corporate Communications.